Donna began her nurse practitioner career at Kaiser in Clackamas Oregon, where she became accomplished in all aspects of well-women care. She effectively managed a full schedule of gynecology and obstetric patients. She worked with women of all ages; from teenagers making their birth control decisions to woman going through menopause and beyond. Prior to becoming a nurse practitioner, Donna worked as a Labor and Delivery nurse at Bess Kaiser Hospital in Portland, Oregon, and taught obstetrical nursing at the University of Portland. Following her career at Kaiser, Donna worked in 3 different private practices in Portland. In private practice she was able to spend more time with patient’s individual needs. She managed many patients with Premenstrual Syndrome and helped women deal with the changes of menopause. She also taught prenatal and postpartum exercise classes. Donna has two grown daughters and two granddaughters. During her daughter’s teen years, she became involved with Planned Parenthood and also taught health classes, discussing sexually transmitted diseases and contraception. Donna's current focus is perimenopause and menopause. She previously worked for a pharmaceutical company selling estrogen and birth control pills. With this experience, she was introduced to many nationally renowned doctors. She also studied the science of pharmaceutical estrogens and "natural” estrogens. She is current with the latest research and is open to exploring all options to help her clients feel their best. She has developed an interest in anti-aging and enjoys discussing vitamins, exercise, hormones, sleep, self esteem and other factors to keep women looking and feeling young. Donna is an avid golfer. 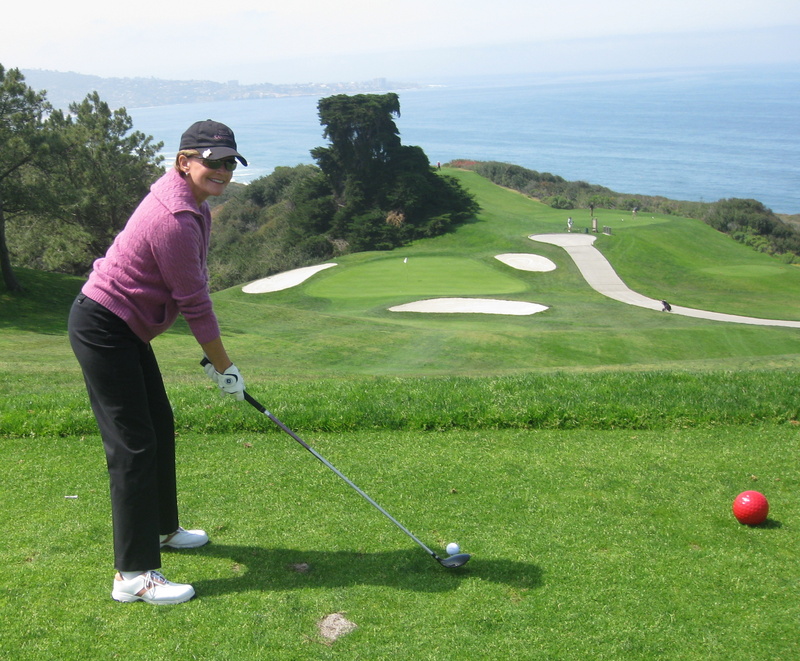 Her goal is to keep herself and her friends HAPPY, HEALTHY and on the GOLF COURSE well into their 80's.